On December 2nd, the Friends of Dominy Library will sponsor a Christmas Book Sale at SELCAS/Fairbury Fire Department (310 W Locust St, Fairbury, IL 61739). 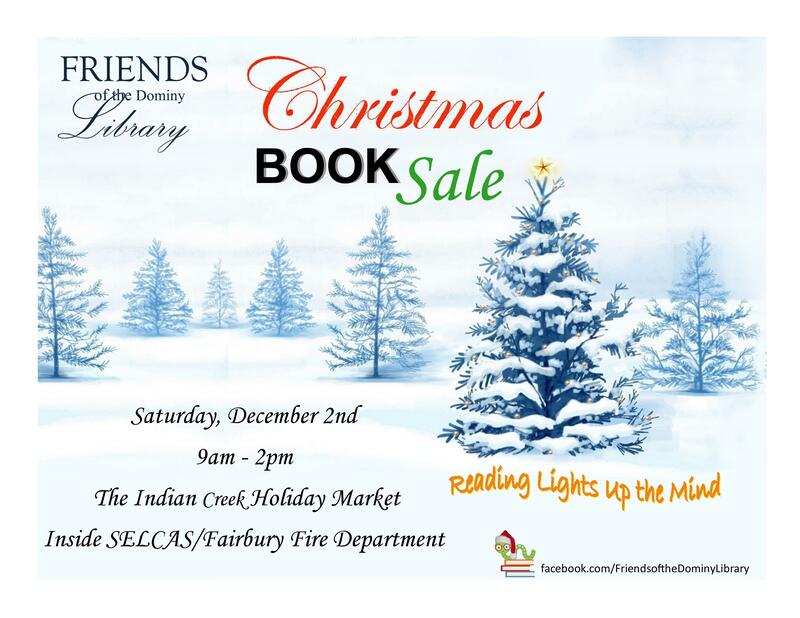 The Book Sale will run in conjunction with the Indian Creek Holiday Market from 9 AM to 2PM. The Book Sale is a part of a busy morning in Downtown Fairbury as the Christmas Parade also occurs in the morning. After the Parade, head on over to the Holiday Market and search a great selection of books for $.25, $.50 or $1. There will be like-new children’s classic, contemporary and Christian Christmas books, plus Christmas books for adults, romance and mystery. Enjoy!